retirees, as well as senior police officials, which are loyal to the previous regime. people in the Eastern regions. 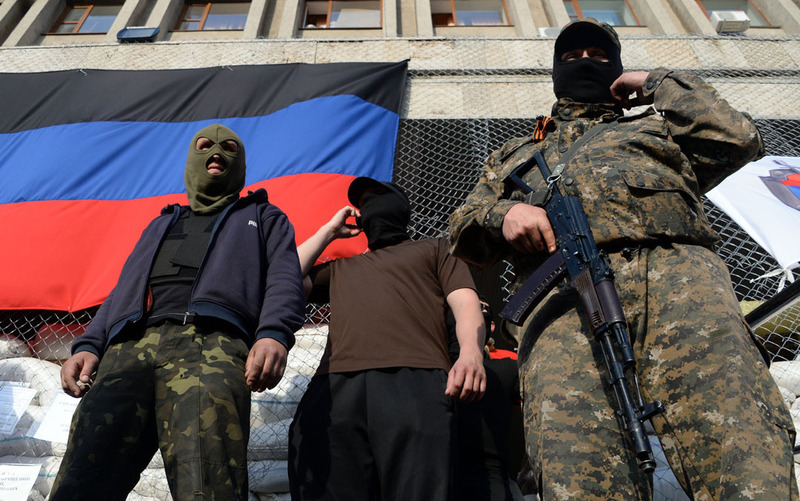 “Right Sector” is a poorly coordinated coalition of several far-right organizations. an undercover war with Ukrainian government. was almost killed by the neo-nazis who had attacked him with knives. in Western countries we know this problem firsthand and not from the Internet. with social, anticapitalist and antinational agenda in Kyiv, Kharkiv and Zhytomyr. there are many phrases about the class peace and the interests of the “small business”. needed before Ukrainian proletariat realizes it. immediately, and from the Eastern junta to stop terrorizing peaceful working people. face the most difficult times.No gods, no masters, no nations, no borders! Posted on June 5, 2014, in Europe and tagged Ukraine. Bookmark the permalink. 3 Comments. The writers go to great lengths to show the reactionary nature of some named individuals involved in the separatist movement in the East. At the same time, they dismiss the idea that the fascist thugs of the Right Sector play any significant role in the pro-Kiev forces, but don’t even mention the much larger Svoboda party. The latter is also “fascist”, although “genocidal ethnic nationalist” might be a better description for parties and groups that upholds the memory of a movement, the OUN-Bandera, whose main accomplishment was that it “cleansed” the Poland-Ukraine border regions of ethnic Poles in 1943-44, killing about 70,000 Polish civilians, including thousands of children, in order to prevent the post-war Polish government from asserting a claim to those regions. That was done without any active encouragement or aid from the retreating German army that still occupied the area, although the earlier and continuing attack of the OUN-B on Jews and Russians was done in active cooperation with the German occupiers. Did you bother to read the entire article? The writers’ positions are clear. They are promoting a new ‘Makhnovschina’ that is indigenous and opposed to both the reactionary right in Kyiv and the equally reactionary separatists. I admit, that this is a long-shot, given the opposing forces within and especially outside of Ukraine. But, it is the only hopeful path that I can imagine.